The camera uses 1/12 CMOS chip, clear imaging, can reach up to 340 000 pixels; 60 fps output without smearing; standard video signal output, display devices connected to the home TV, parking displays and others. With six high-brightness LED lighting, no lighting dead, no spot. Product outer diameter of only 4.55 mm, convenient for observing close objects, for industrial video endoscope, the endoscope pipeline detection, vehicle detection endoscope, cylinder testing, fishing video camera, underwater camera, invisible cameras, ENT endoscopes, intraoral camera, medical endoscopes, endoscope throat. 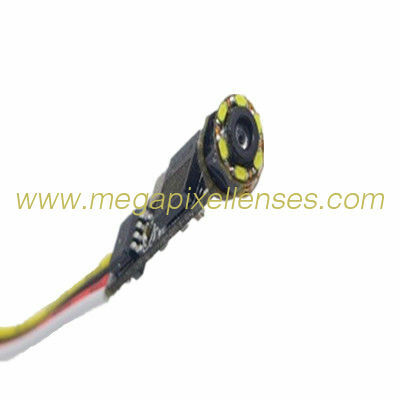 The main advantages of this product include: small size, high pixel, high frame rate, imaging results clear, is your good choice.